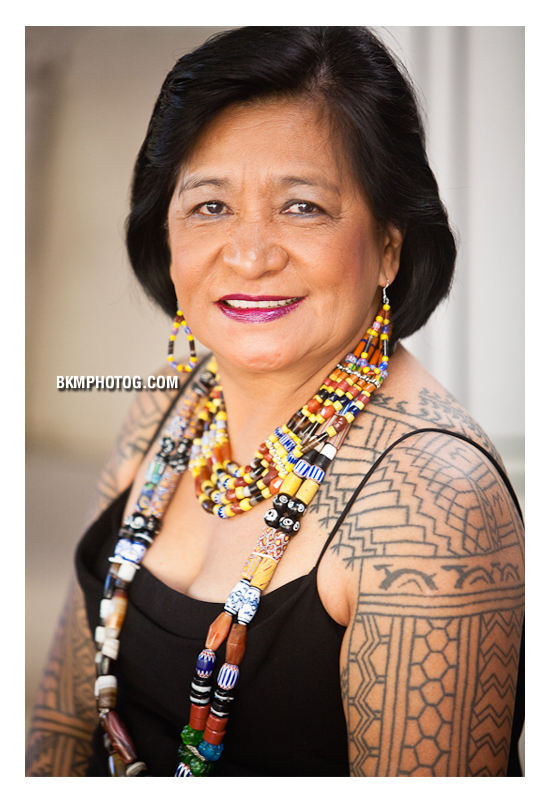 When I married my wife, I married into a family with a rich heritage in tribal tradition and history. You see, Kirin is Igorota, a term that loosely describes several tribes of people who are indigenous to the Philippine Islands. 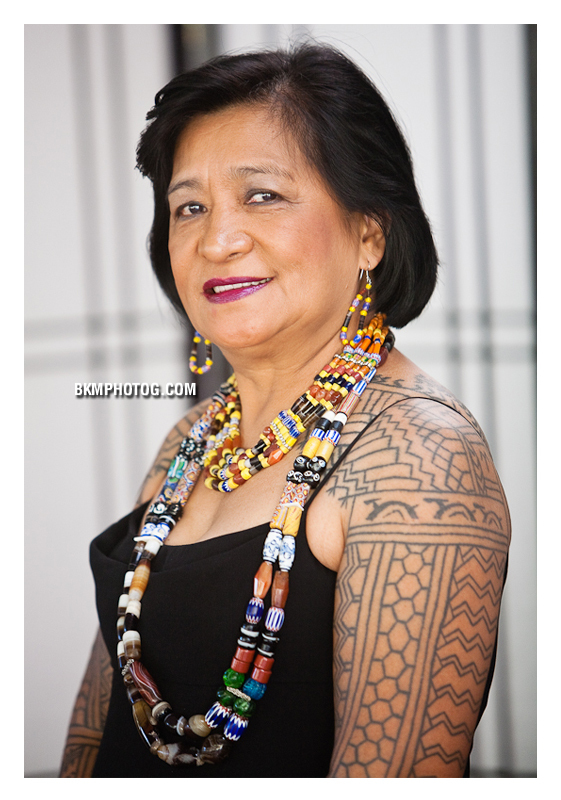 I’m woefully ignorant of much of Filipino history as it is, and I knew even less of her indigenous peoples. There is so much to say about this, more than what I’m willing to discuss here at the moment. 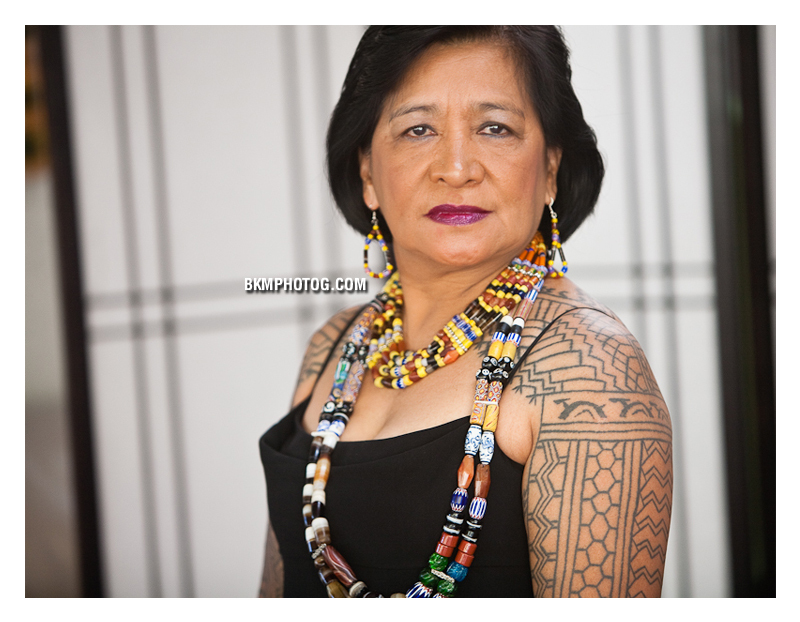 Below are a series of quick portraits we did of Kirin’s Auntie Naty, who was visiting from the Philippines. 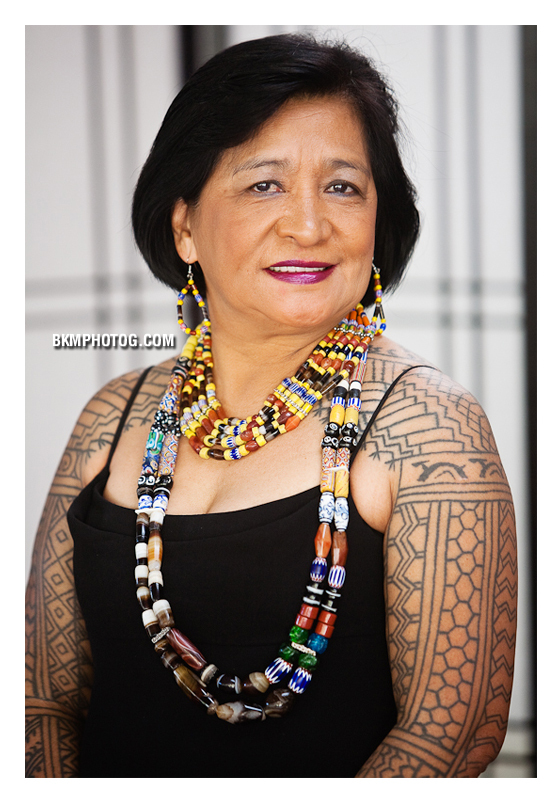 Naty is member of the Kalinga tribe of the Philippines, and she is currently a Provincial Officer of National Commission of Indigenous Peoples there. (Kirin is part Kalinga on her mother’s side. 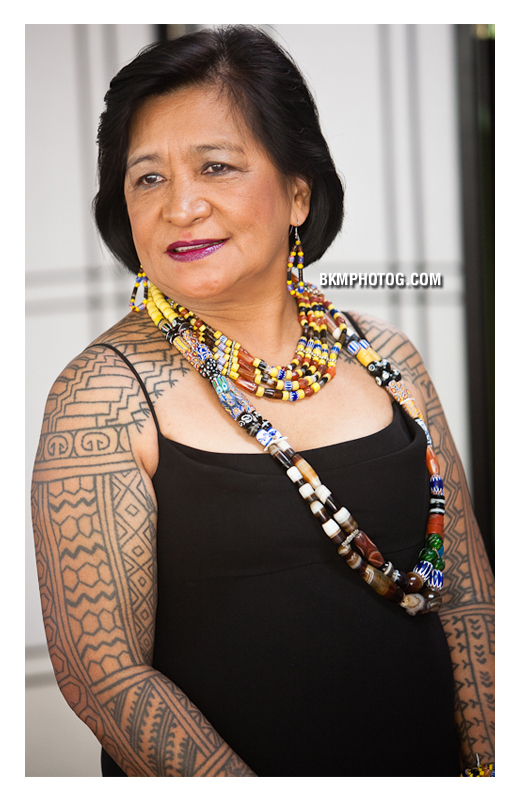 Her father is from the Bontoc tribe.) 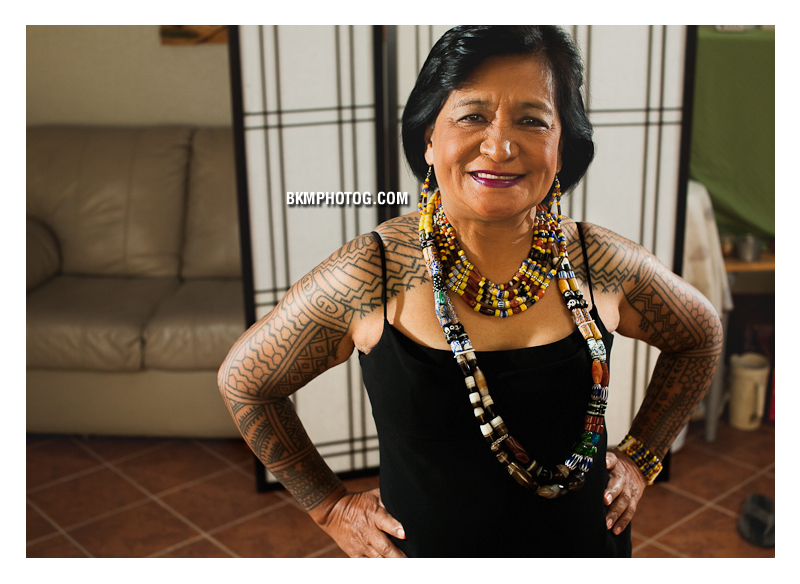 The beads and tattoos that Auntie Naty wears have specific cultural significance and meaning. 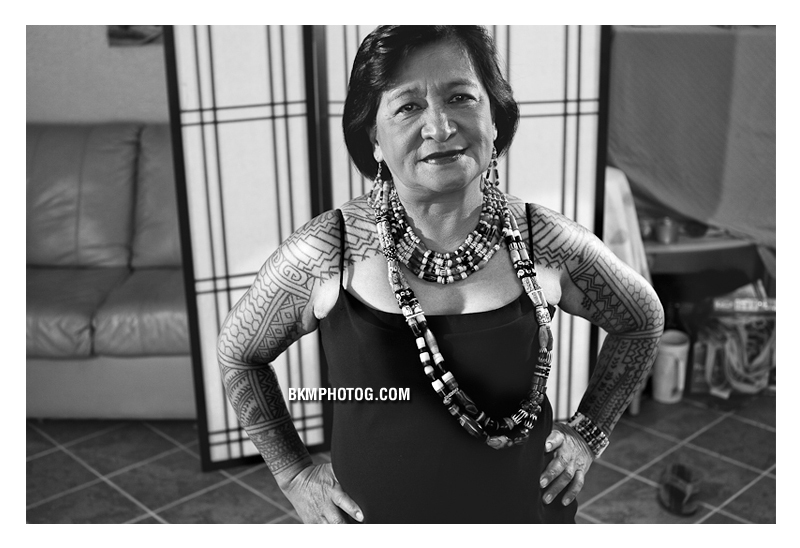 The tattoos, in particular, are only worn by those who have earned them, either by birthright or by deed–not as a statement of fashion. Auntie Naty was only in town for a short time, so we didn’t have time to set up a proper place to shoot the photos. But we couldn’t pass up this chance to create images of these important cultural artifacts.